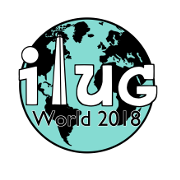 Welcome to the second issue of the IIUG Alert! Short, sweet and time-sensitive. Please provide feedback via e-mail to ug@iiug.org. IBM's purchase of Informix is ready to close on Monday, July 2nd. All approvals are in place and Informix Software will be integrated into IBM's Data Management division. Visit www.iiug.org for the latest, including a letter to IIUG from Janet Perna, the top executive in the Data Management division, to be posted July 2nd. For future product plans, see: www.informix.com/informix/blue/future_directions.htm. CALL FOR IDEAS... Let us know if you'd like to either do a presentation or if you have ideas for the conference: www.iiug.org/iic/. Please watch our site for up-to-the-minute details. We are still accepting nominees to the IIUG Board of Directors, but only through June 30. If you have great ideas, enthusiasm, Informix tattooed on your forehead, and enjoy working with IIUG or your local user group, don't delay. www.informixhandbook.com: "IBM acquires Informix -- but what does it all mean?" Find a detailed history and analysis by the IIUG's own Ron Flannery. www.informix.com/informix/press/2001/jun/law.htm: "Informix Software Unveils Law Enforcement Foundation for Biometrics"
www.informix.com/informix/press/2001/jun/apropos.htm: "Informix Software and Apropos Streamline Fulfillment Needs for Leading Retailers"